John began his senior career at Aberdeen, where he competed with Bobby Clark and Jim Leighton for the goalkeepers jersey. Restricted to just a handful of outings during his four years at Pittodrie, he signed for United in January 1980 as understudy to Hamish McAlpine. 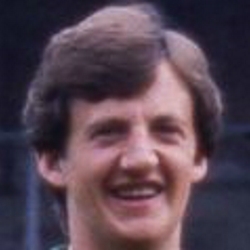 He made his first team debut in a pre-season friendly against Chelsea at Tannadice in July 1980 while McAlpine was recovering from injury, and was an unused substitute for the European ties against Slask Wroclaw and Lokeren. With John and Andy Graham finding it difficult to dislodge McAlpine in goals, he was loaned out to Airdrie in February 1981 for the rest of the season. The majority of his first team involvement over the next three seasons was as substitute goalkeeper for United’s European ties, as the team reached the quarter finals of the UEFA Cup twice and the semi-finals of the European Cup. He also spent a month out on loan at Forfar Athletic in October 1981, and finally made his competitive debut for United in a League Cup tie against Falkirk in August 1982. In the Spring of 1984 he made back to back appearances in the Premier Division against Hearts and Dundee, but spent most of his time at Tannadice in the reserves. The arrival of Billy Thomson in June 1984 put John even further to the back of the queue, and a month's loan deal at Motherwell was made permanent in February 1985 for a fee of around £10,000. This new opportunity worked out well for Gardiner, who was Motherwell's regular keeper for three seasons. He later moved on to Montrose and Peterhead before finishing his career with Huntly, where he played against United in a Scottish Cup tie in February 1995. 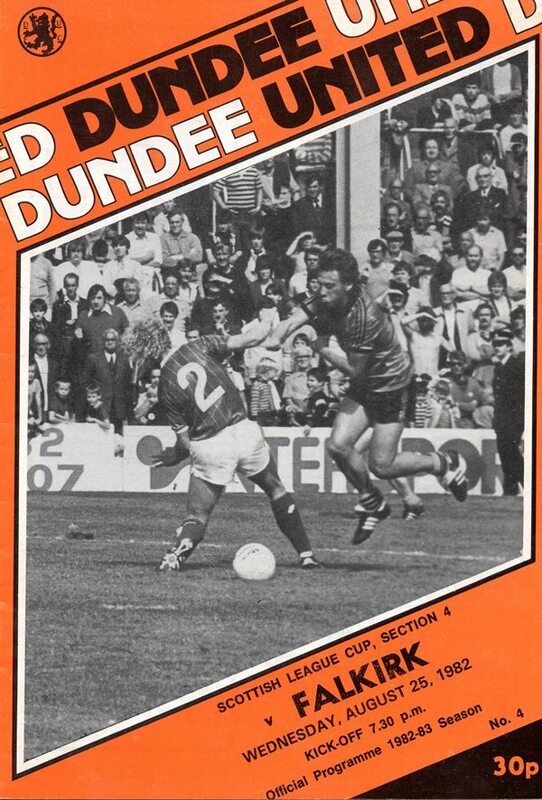 United's amazing run of success at Dens Park continued as we chalked up our seventh consecutive win.